New Merlyn's T-Shirt Colors in All Sizes! Posted: Thu Jul 20, 2017 6:38 am Post subject: New Merlyn's T-Shirt Colors in All Sizes! We've got two awesome new color combinations for our official Merlyn's T-Shirts: Dark Grey w/ Tan and Black w/ Pink. All sizes from Small to 3XL are available for the new colors plus there's restocks of some of our other shirt colors, too. 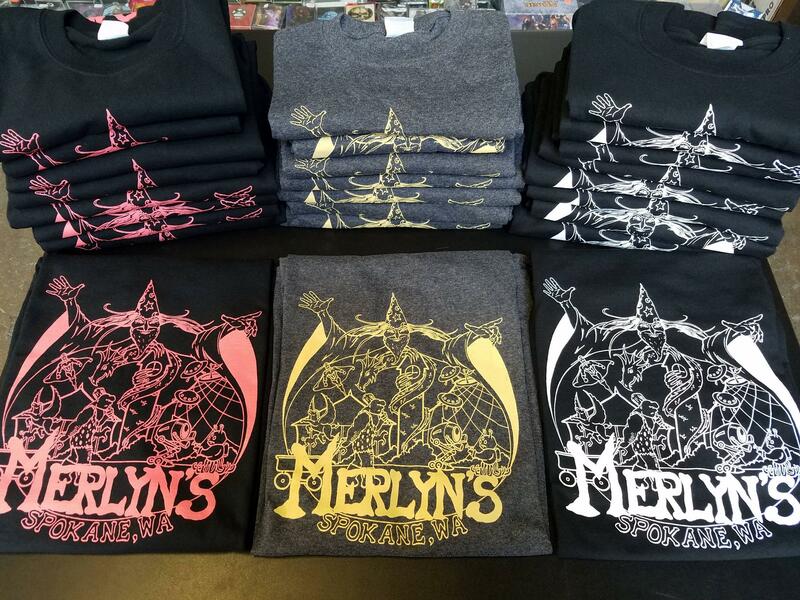 Supplies are limited so stop by the store to see if we've got the perfect Merlyn's shirt for you today!